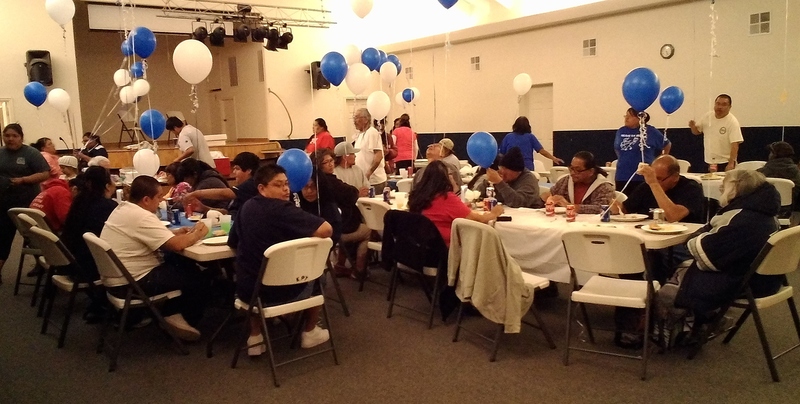 KAIBAB PAIUTE RESERVATION, Ariz. – Friends and family members gathered in the community building on the Kaibab Paiute Reservation in Mohave County, Arizona, Wednesday evening to celebrate the birthday of Shawn Multine, who was killed in an October 2014 homicide in Cedar City. Wednesday would have been Multine’s 46th birthday. “The wound is really fresh. It seems like it happened yesterday,” Multine’s sister, Shana Multine, said. Tears were shed by many in attendance as memories of their slain brother, son, nephew, cousin and friend were shared. Family members also spoke of the burden – both emotional and physical – of making the almost 90-mile drive to Cedar City to attend the court proceedings of the three people charged with Shawn Multine’s murder: Angelo Carrasco; Clarissa Bulletts, Shawn Multine’s stepdaughter; and Eric Rodriguez. But Eileen Drye Posvar, Shawn Multine’s aunt, said his family members want to attend the hearings to learn the truth about what happened on Oct. 21, 2014, and to see that justice is done. “It’s going to get harder and harder,” Shawn Multine’s mother, Pat Pryor, said. Pryor said family members have been advised that the court hearings are going to get more and more difficult for them to witness as the process goes on. Photos from the homicide will be shown during upcoming hearings, she said, and information will unfold regarding, in detail, what happened to Shawn Multine the night he was killed. 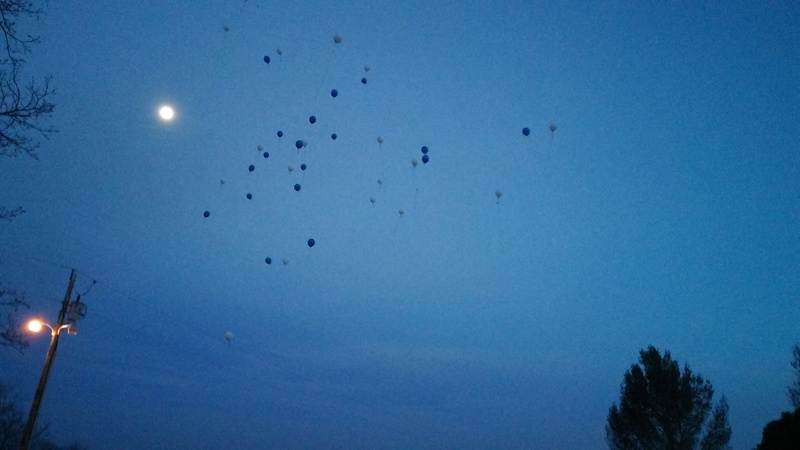 Friends and family gathered for a birthday dinner Wednesday in Shawn Multine’s honor and also wrote messages to him, attaching them to balloons and releasing them into the sky at dusk. 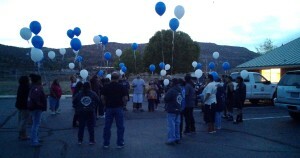 “We’re celebrating his birthday today and his life that he had on this earth,” Posvar said. 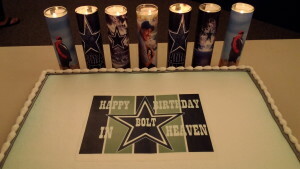 A birthday cake was on display bearing the words “Happy birthday in Heaven, Bolt,” which was a nickname for Shawn Multine. 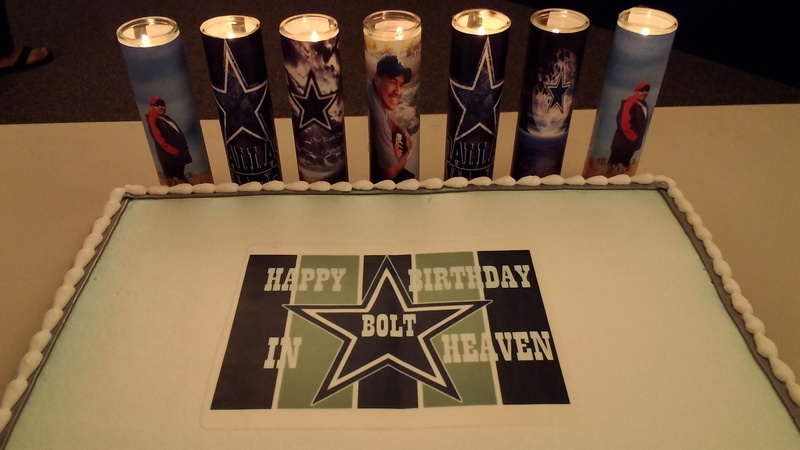 Candles in glass jars printed with photos of Shawn Multine adorned tables throughout the room. After the balloons were released, floating toward the moon in the twilit sky, those in attendance stood still for several minutes, listening as a song played in Shawn Multine’s honor. Friends and family then embraced and slowly moved back inside, where the group sang “Happy Birthday to You” and the cake was served. “Today was very touching,” Shana Multine said. “Tonight helps a little bit to see … everyone come together and to support him on his birthday,” she added. Shawn Multine was shot and killed on Oct. 21, 2014. Carrasco is charged with criminal homicide/aggravated murder in connection with the shooting, a capital offense; he is also charged with aggravated burglary, a first-degree felony, and aggravated assault, a third-degree felony, in connection with the events that occurred that night. Rodriguez is charged with murder, a first-degree felony; aggravated burglary, a first-degree felony; and obstructing justice, a second-degree felony. On the night of the shooting, he allegedly aided Carrasco in locating Shawn Multine with the intention of killing him, according to a 2014 press release from the Cedar City Police Department. Bulletts, Shawn Multine’s stepdaughter, is charged with murder, a first-degree felony, and obstructing justice, a second-degree felony. At the time of Shawn Multine’s death, he and Bulletts’ mother had been separated for about a month, Shana Multine told St. George News in an interview in October 2014. She described her brother’s relationship with his wife as turbulent. Bulletts allegedly aided in attempting to lure Shawn Multine to a place where Carrasco was waiting to shoot him, according to the Police Department’s press release. Bulletts also allegedly transported Carrasco and Rodriguez from the area after the homicide took place and then, along with Rodriguez, provided information to officers that hindered their investigation in the days following the alleged homicide. Preliminary hearings for Bulletts and Rodriguez are scheduled to take place on April 17 at the 5th District Court in Cedar City. Carrasco’s preliminary hearing is scheduled for June.